Spence trained in the office of John Bryce before setting up his own practice in 1837, and later taught Hugh Barclay . He designed Italianate buildings for Glasgow's early department stores including, Arthur & Fraser, 14 Buchanan Street (1873) and Macdonald's, 21-31 Buchanan Street (1879). At Arthur & Frasers, Spence became associated with one of the city's oldest and most celebrated sculpture groups: the Tontine Heads, and one of the city's most interesting carvers: W J Maxwell . The 18th Century Tontine Heads were incorporated into the new facade as window keystones by its builder, Peter Shannan, who commissioned Maxwell to carve four new heads to complete the group. Spence extended the building to 116-20 Argyle Street, with an identical facade, for which he commissioned Maxwell to carve a further eight keystone heads (1873). The City Theatre, Glasgow Green (dem. 1845) and the Theatre Royal, Dunlop Street (1839-40, dem. 1879). The latter was the first Victorian building in Glasgow to incorporate a multi-figure sculpture scheme, and provided John Mossman with his first commission for portrait and allegorical statues: John Henry Alexander, Thalia and Melpomene. The Theatre Royal was gutted in 1863, sold to the Union Railway company, 1866, and finally demolished in 1879. Also lost is MacIntyre's Corner, a warehouse on the south east corner of High Street, which featured a statue of Britannia by John Crawford (c. 1850, dem. 1949); the Egyptian-style Randolph & Elder's Engineering works, 13-23 Tradeston Street (1858, dem. 1970); and Paisley's Warehouse, 72 Jamaica Street (1854-6, dem. c. 1989). Spence eventually moved to Helensburgh, where he died at his home at Ardlui, on 22 June 1883, leaving an estate valued at �2.414.8s.9d. 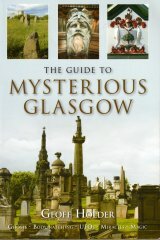 He was buried in Glasgow's Necropolis, where his stone is now broken and concealed by ivy.